A walk around Manchester MO reveals to the curious eye a realm of beauty, serenity, and tantalizing scents. 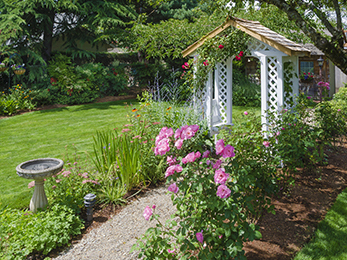 A world with picture perfect lawns and landscape, happy homeowners, and a welcoming atmosphere. With this idyllic image in mind, you should know, however, that most manicured and gorgeous landscapes in the area have a history of hard work, determination, love, and professional intervention. Here, at Lawn Masters, we are glad our work is visible and loved by old and new homeowners in the area. If you want to know who we are and what types of landscape magic we can perform, listen to what our specialists in landscaping in Manchester MO have to say! We are a family-owned company of locals who decided a few decades ago to give something back to the community they loved. We started our lawn care and landscaping company with the intention of offering our clients the best and highest-performing services in landscaping in Manchester MO! We are happy to say that today we have a growing pool of loyal customers who prefer our continuous services year after year. We are proud of having developed with the times, discovering new technologies, new approaches to eco-friendly lawn care and landscaping, and new research in horticultural and agricultural sciences. We have never made compromises on the quality of our services. 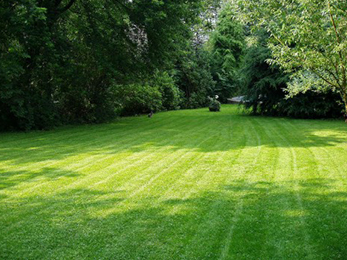 What Can Our Experts in Landscaping in Manchester MO Do for Your Property? 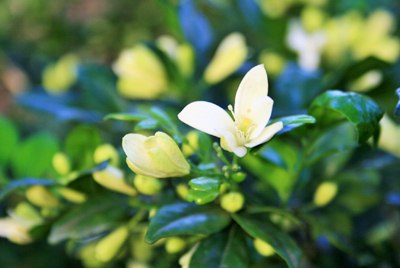 Landscape Design and Installation – ask for this service if you have a new property to revamp and grow from scratch. Our architects will create a design, while our technicians will build you an outdoor environment full of colored and scented plants, functional walkways, patios, and retaining walls, efficient drainage systems, and more. 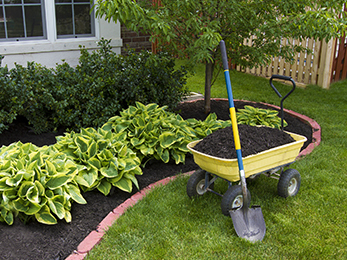 Landscaping Maintenance – if you want to revamp your property, increase its curb appeal, or simply care for it as your home outdoor, you can rely on our experts in landscaping in Manchester MO to offer year-round maintenance services and even extra ones (such as lawn mowing or fertilization and weed control, among others). If you want more details about our services in landscaping in Manchester MO and the other integrated services we offer, contact our representatives and ask for a free estimate or ask them questions. They will always answer your phone and offer you complete information!